Selling your old iPhone has never been easier than it is today. iPhones hold their value better than any other smartphone which means there’s a huge secondary market for them and someone is willing to pay cash for your old iPhone right now. No matter who or where you sell it to there’s a few things you need to do before saying “bon voyage” to your old iPhone. AT&T: AT&T is the easiest carrier to deal with when it comes to selling your old iPhone. As long as your iPhone hasn’t been reported stolen AT&T will let anyone use it on their network. T-Mobile: In order for someone else to use your old T-Mobile iPhone it needs to be completely paid off and free of any contractual obligations. Check out T-Mobile’s IMEI check to make sure your iPhone is good to go. Verizon: Verizon requires that your old iPhone be paid off and free from any contractual obligations before it can be activated on a new account. Additionally, Verizon recently cut support to some older devices. As of today you can no longer activate an iPhone 4, 4S, 5, 5C or 5S on their network. The good news is that the the Verizon iPhone 4S, 5, 5C and 5S came unlocked right out of the box from verizon so you can sell those models as “unlocked” instead of Verizon locked. You can check if your iPhone can be used by a new Verizon account using their convenient IMEI check. Sprint: Your iPhone needs to be paid off, free of any contractual obligations and removed from your Sprint account before it can be activated by a new user. To check if your iPhone has met all of those requirements check out their IMEI check feature. If it doesn’t show an error message after the first screen it means that your iPhone is clean for activation. Unlocked iPhones are worth more money than iPhones that are carrier locked. If your iPhone is unlock-eligible it’s in your best interest to unlock it and get some extra cash. We highly suggest checking out our guide to unlocking iPhones for details on how to unlock any iPhone. Open your settings app and go to the “general” tab. Then at the bottom choose “erase” and finally “erase all content and settings”. Following this method will remove every trace of your information, including your iCloud account. Every SIM card has a unique number called an “ICCID” that’s specific to you and your wireless account. That’s why it’s best practice to remove and dispose of your old SIM card before selling it. The new user can attain a new one from their carrier in-store or online. 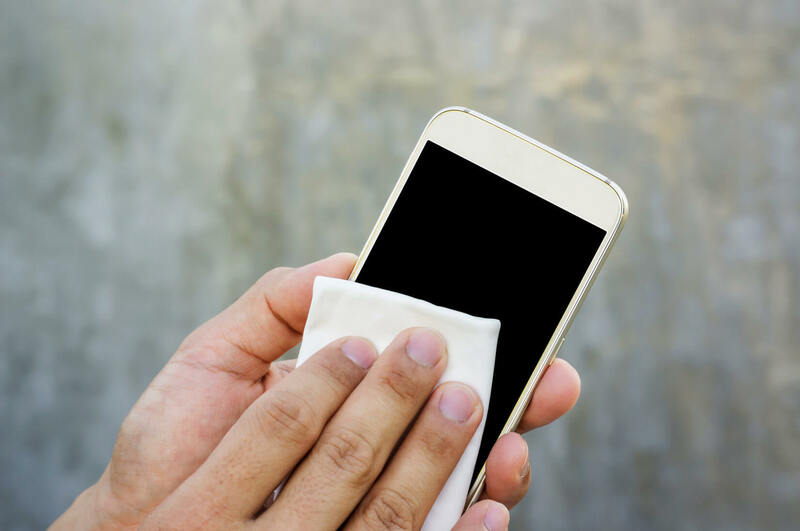 While not a necessity, it’s courteous to give your iPhone a good cleaning before selling it to a new owner. Get a clean dry rag and pour a dab of isopropyl alcohol on it, then scrub away. Also, check your charge port and see if any grime has accumulated in the bottom. If your lightning cable wiggles slightly while charging it’s a sure sign that your charge port is filled with lint that needs to be cleaned out. To do that, get a needle and scrape along the bottom of the port starting at one end and work your way to the other. Again, not a necessity but it will likely save you and your buyer time if you charge the iPhone before selling it. If you’re selling locally your buyer is going to want to test the iPhone out before buying it. If your bought them a dead iPhone we hope you also brought some small-talk topics you can chat about with your buyer while the iPhone is charging in your car.